Discussion in 'Android Devices' started by nickrussel, Feb 23, 2011. Is the speed better than a rooted optimus m at 2G? here are my results from speedtest.net accessed via my Mac Mini tethered to the indulge. which software you tethered with? easytether? or did you manage to get something else going? isn't this, too, about a half of the speed you get on your phone? 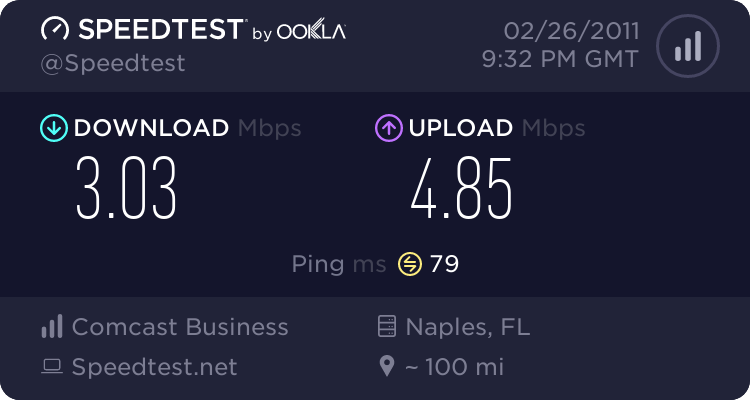 I was using easy tether lite and no it was getting about the same speeds as the speedtest.net app was saying on the phone itself. I wouldn't call MetroPCS's speeds as being consistant at all. I can test the phone 10 times in a row and get different results each time. I just used EasyTether lite, like the original post suggested. Its a USB tether and you have to install the EasyTether app on your PC as well. sweet one more step and we will be wifi tethering! it's not that difficult to convert into the pro. it's $ 10 _at most_.